With the days only really being birdable from 7.45 onwards my pre work patch visits have been brief, few and far between. 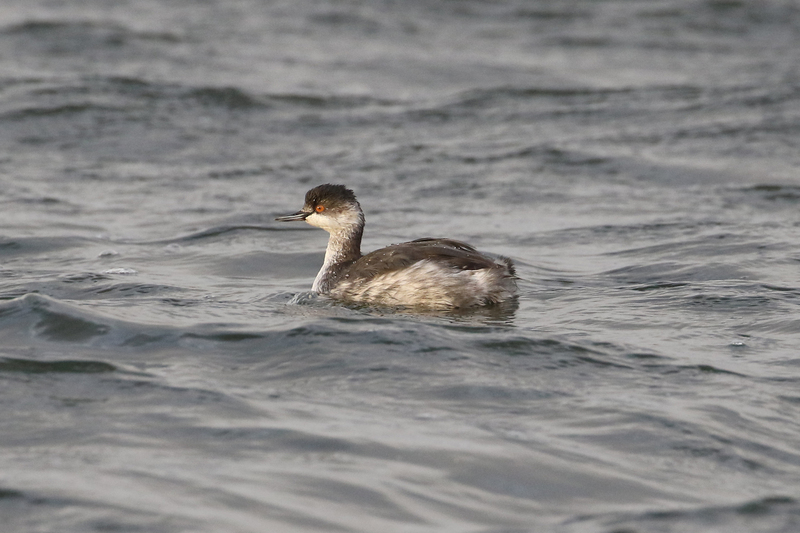 however a group of 4 Black-necked Grebes were feeding around the big pipe at the NE of the Lockwood on the 20th. 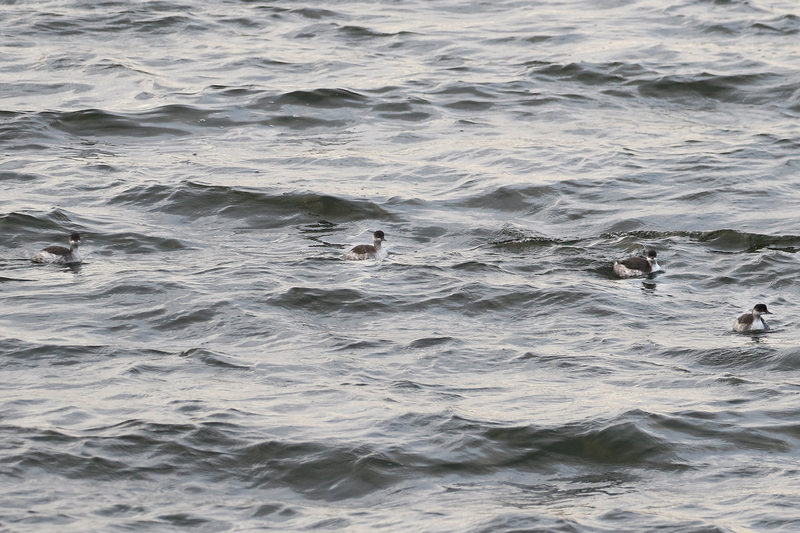 This equals the highest count here with 4 summer plumaged birds last may on the same reservoir. They were fairly close and Paul W and I got nice views. A Wheatear was also present that morning and Pete L had a Ring Ousel on Tottenham Marsh. Other birding news is more of the same really. 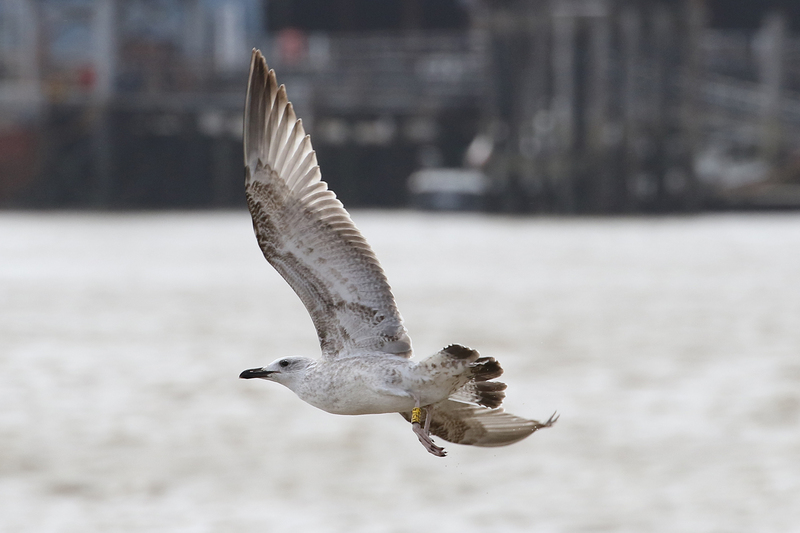 I ‘braved’ the 45 mph winds and bright sunlight at Thames Barrier park on saturday 21st and was rewarded with A new German Ringed 1w Caspian Gull at Thames Barrier Park – X574. Not a bad looker and will look great in a month or so i reckon. 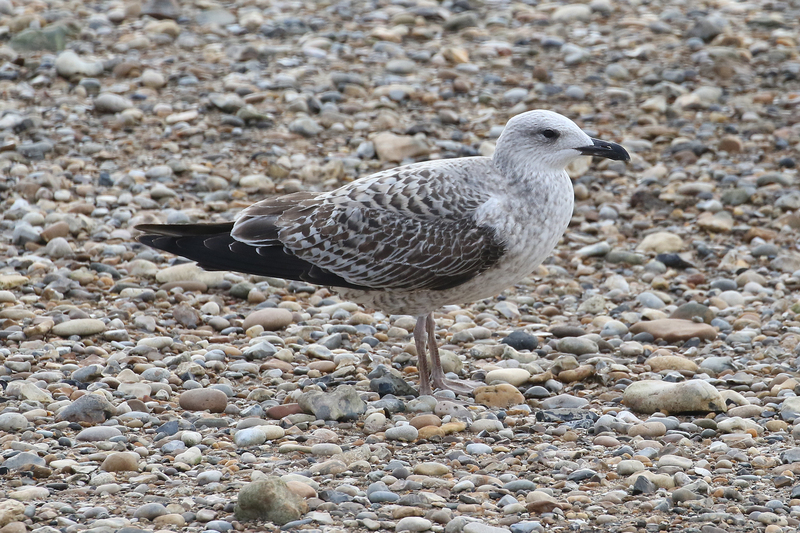 Lesser Black Backed Gull numbers are fluctuating between dates, Saturday saw probably 50+ whereas sunday there were less than half that, This surely reflects the fact that they are passing through. 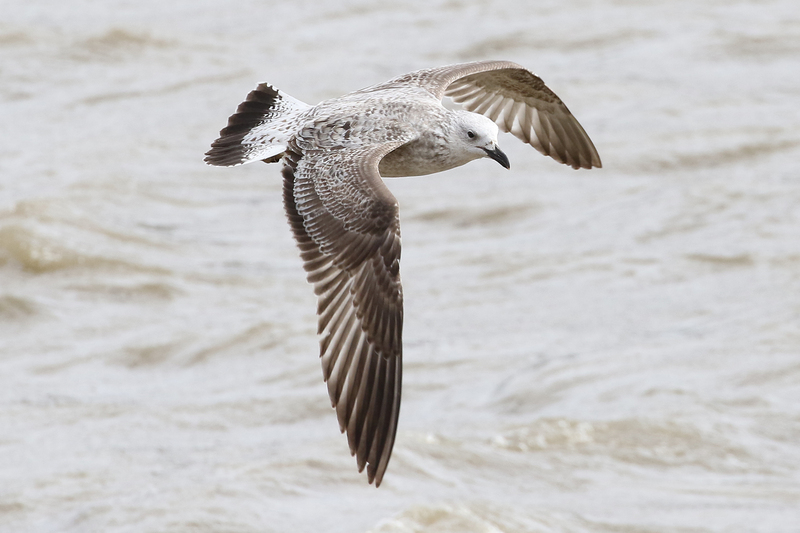 The presence of one or two small, longer winged 1st years and a dark mantled adult was also noted including this midget (below). 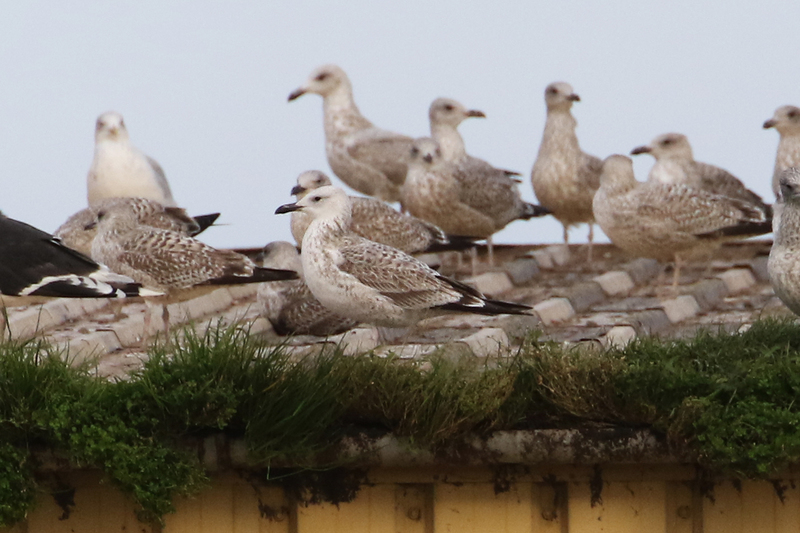 Nothing really to build a decent case for Fuscus for but surely continental birds from that direction. 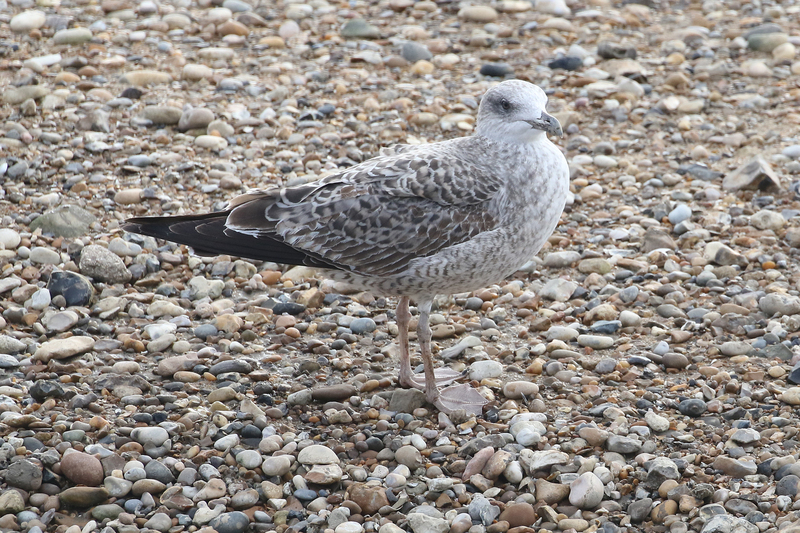 As per around 7 or 8 Yellow legs were present, heres a couple of birds showing different levels of wing covert moult with the top bird having moulted c40% and the lower bird only including 3 inner median coverts (on its right wing at least) in its post juvenile moult so far. Saturday I was joined by Dante. 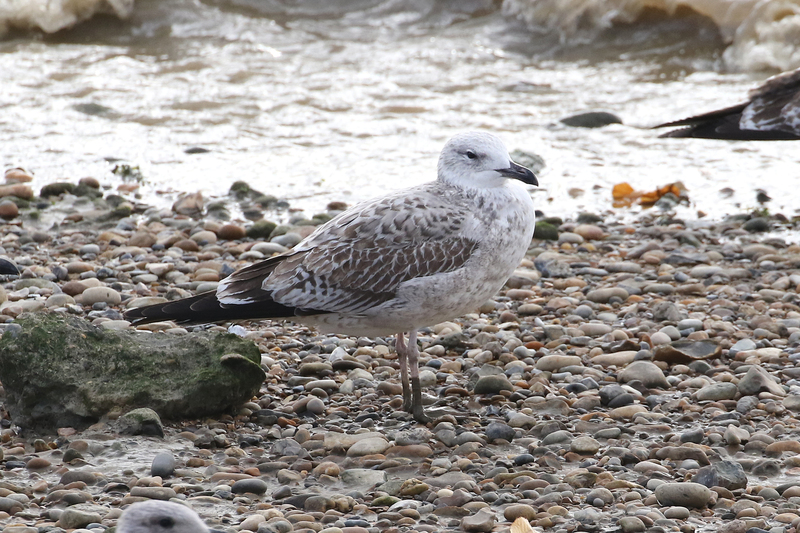 Despite him being very much in the frame of mind for what might turn up during his jaunt to Spurn this coming week he still got on both of the days Casps first. 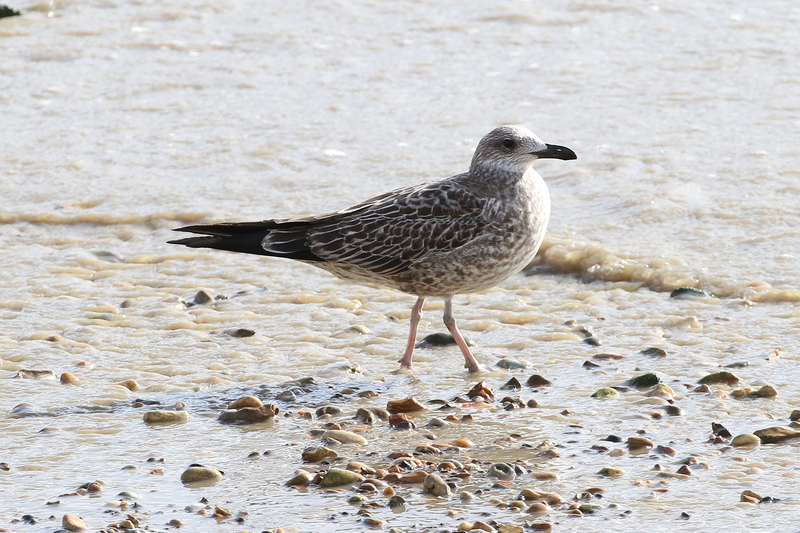 The above bird was seen in September by Josh Jones over in Fulham. 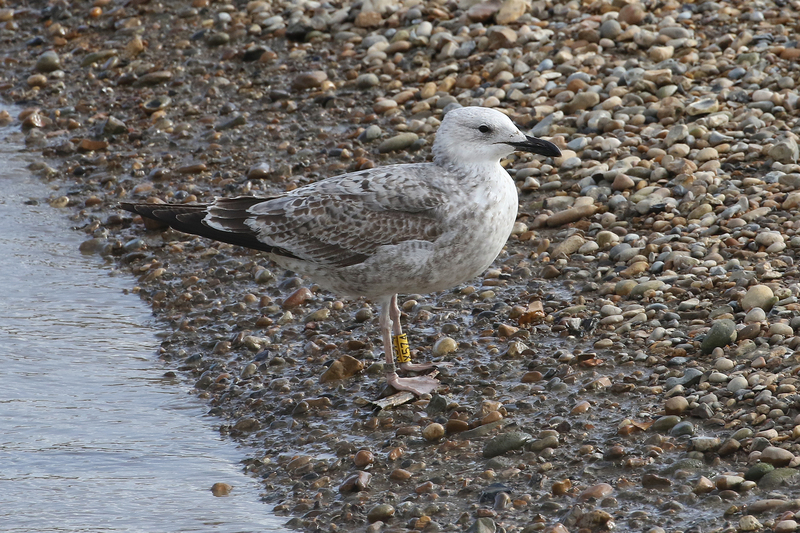 A straight swap as he reported having X574 (the Casp I had the day previous) amounsgt his bread mele on the Sunday.